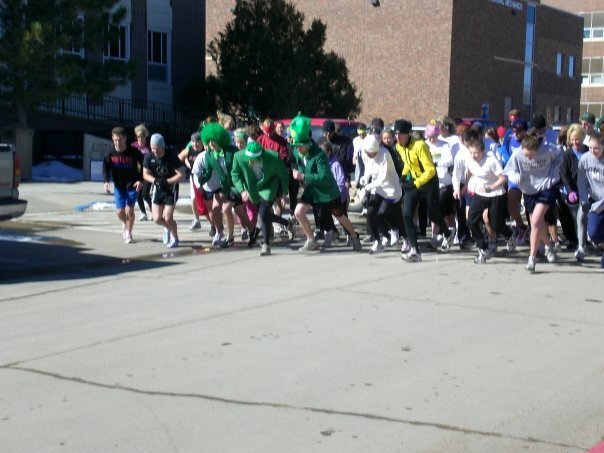 The Dublin Dash is an annual 5k fun run that is hosted by the SDSMT chapter of AIChE. The event is the main fundraiser for the SDSMT AIChE, and is how we as a non- profit organization are able to raise money to help our students attend both the National and Regional conferences for the American Institute of Chemical Engineers which greatly benefits the students as they prepare to go into industry. Further, the funds raised also help us to prepare for community outreach and help us to supply scholarships for our students. Online registration can be found here. Please ensure you have enclosed a check for $15 with your pre-registration form (or $10 with SDSM&T Student ID or BHRC) made payable to "AIChE Student Chapter". 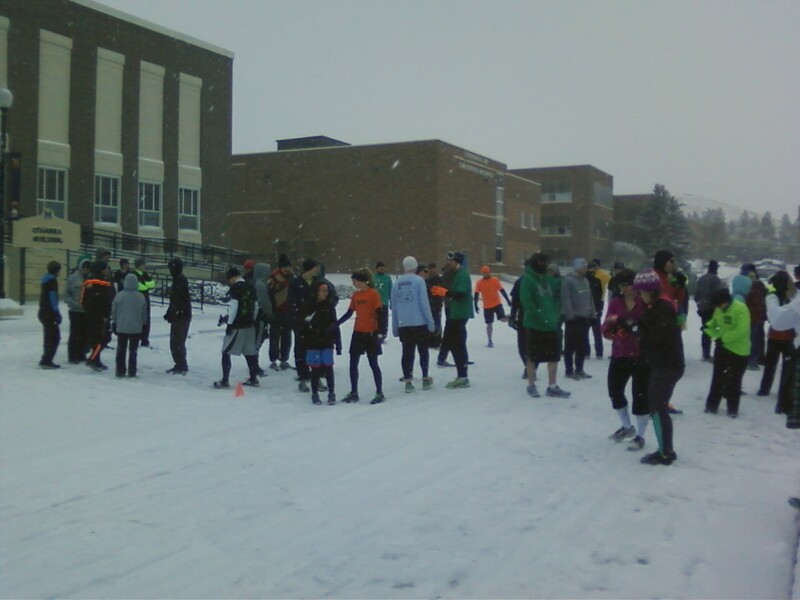 The Dublin Dash cannot operate without our wonderful sponsors, both monetary and door prize donors. 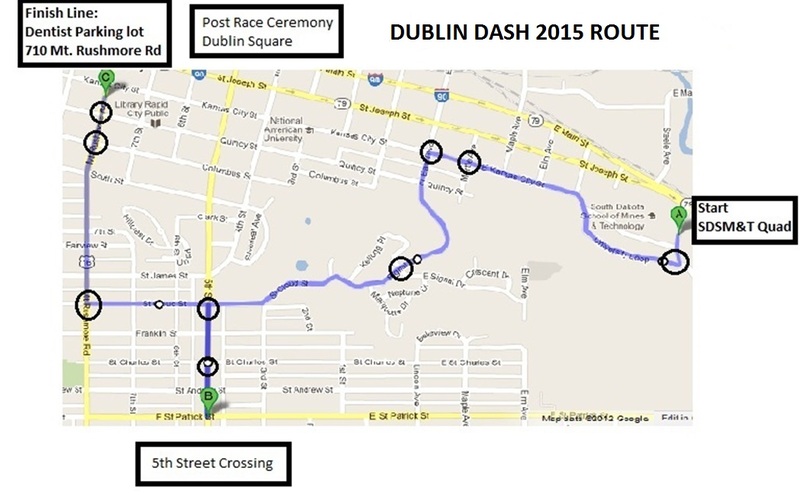 For a donation of $100 we will put your company's logo on the back of the annual Dublin Dash T-shirt. If you would like to help sponsor the Dublin Dash this year please contact Brent Stoltz with any questions or concerns you may have. Any general questions can be emailed to brent.stoltz@mines.sdsmt.edu. Please let us thank you in advance for supporting the SDSM&T American Institute of Chemical Engineers!